The Minister of Development Planning, Mr. Tlohelang Aumane says the Aid Coordination Forum (ACF) is important as it seeks to discuss and give policy direction as well and calls for building partnerships for implementation of the national plan. Mr. Aumane said this when addressing participants at the one day ACF held in Maseru on Monday, where development partners such as European Union, United Nations and African World Bank were represented. Mr. Aumane noted that building partnerships amongst development partners will go a long way in realising implementation of the national plan, thus developing the country and its people. In addition, he said the ACF comes at an opportune time when the country is in the process of reforms, a move requiring the involvement of all to achieve Lesotho all aspire to have. Mr. Aumane thanked all for supporting the National Strategic Development Plan (NSDP) II, saying the Ministry is now moving towards monitoring, evaluation and financing strategies. “It is therefore imperative to use resources effectively, avoid unnecessary duplications and move towards success,” he stressed. 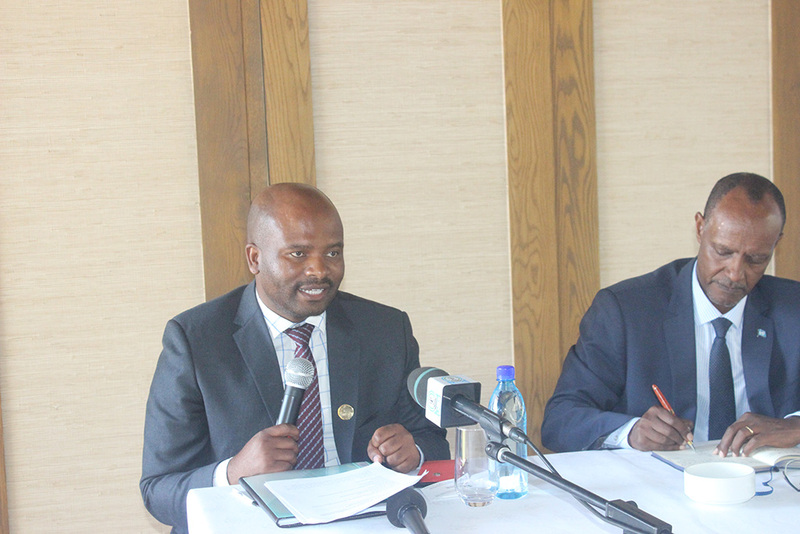 Also speaking, the United Nations Resident Coordinator Lesotho, Mr. Salvator Niyonzima said both UN and the government of Lesotho have signed development framework for 2019. He said it is against this background that the UN remains committed to supporting and bringing their contribution in this way to Lesotho. He also assured participants that UN and others will forever support initiatives meant to transform the livelihoods of Basotho like that of NSDP. Meanwhile, while sharing the presentation on NSDP II, the Director Policy and Strategic Planning, Ms Mahlape Ramoseme said guided by the NSDP, there will be amongst other developments, roads rehabilitation and upgrading at Sehlabathebe and Marakabei. She also mentioned that the Moshoeshoe I International Airport will also be upgraded to meet the demands of the 21st century. Also present at the forum included some of the Cabinet Ministers and public servants. It is anticipated that the NSDP II will be launched in February 2019.